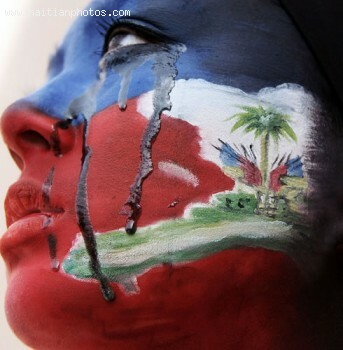 Here is a picture of the Haitian Flag proudly painted in the face of a Haitian woman. Tis Haitian flag is the signs of freedom and the readiness of the Haitian people to fight and die for their freedom. L'Union fait La force which means that Unity makes strength.